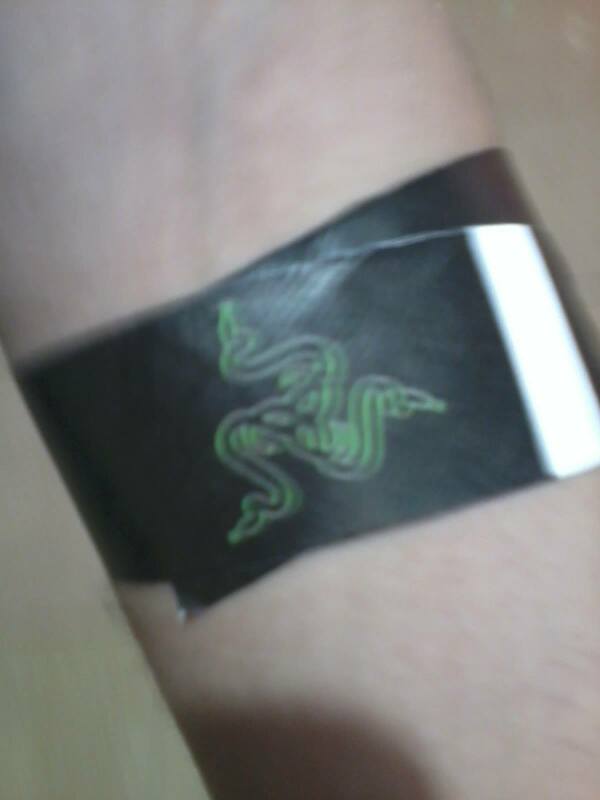 Razer Store Manila Opening – What happened? Today August 15, 2015 is the official opening of the Razer Store here in Manila and it’s located at the #406 Razer Store PH, Level 4, The Annex, SM City North EDSA, Manila. We are also a Razer user but we decided not to come knowing there will be lots of people. To show you here are some of our items used here at home. 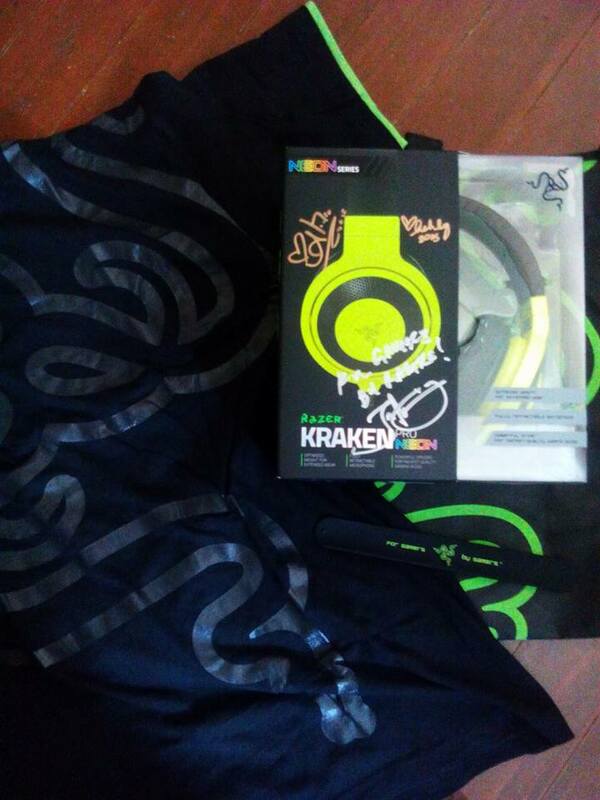 Razer fans lined up since yesterday in knowing the first 100 Razer fans in the queue in Cosplay or with a Razer peripheral you will also get a pair of Kraken Pro Neon headphones. The queue for the store will begin outside the mall at Exit A2 (next to Pizza Hut and French Baker). The first 500 in the queue will be given black tags as identification. Once the doors open at 10am, we will have Razer Staff and security guiding the line in towards the stations, where the lines would be able to collect their Razer gear and giveaways. Please note that the first 100 who are cosplaying or with their Razer Peripherals* will get the Kraken, not the first 100 in line. *Peripherals : Systems (Blades), Headphones, Keyboards, Mice, Mousepads, NabuX, Nabu. Very disappointing opening. Pagkatapos niyang maghintay since 4 pm yesterday, he decided to just come home. There was no organization and he said na baka magkagulo pa dahil wala daw line to speak of. Sabi na eh. Wala mangyayare sa mga campers kahapon. Kahit mag bilangan pa sila, yung oras ng event mismo ang masusunod.. sayang effort. Haha! Pero ano kaya yung sinasabi na SURPRISE? Bka may pa-raffle? mineski it says on the event first 100. why are you throwing band at random people. you didn’t do your job keeping things organized. just goes to show how infidel you are. your gonna ruin Razers name. Kung kayo kaya nandun? Andaming nahimatay na tao sa sobrang hindi organized dahil di man lang inayos yung mga sumisingit at nanunulak. I AND THE PEOPLE RESPECT YOU! Are we ready? says the event page. Apparently I was not. It was a very traumatic experience for me and my wife. From “unofficial” officials making up lists of the first 100 getting people more confused and frustrated more than they already are. Offering pizza instead of instructions or systems that is supposed to be in place before the crowd rushes the queue. Yes they thought of implementing the systems while actual people are being crushed in the crowd. Yes literally, people were fainting right and left, while the cold blooded butlers with their cold eyes just blankly staring at the people screaming for some air. I literally had to scream and curse at the top of my lungs for them to attend to my almost collapsing wife. While the man in green giving out the stubs had his mr. Pogi smile. You insensitive piece of crap! While some people already fainted due to the heat and lack of space, they had to rely on mothers of some of the participants to nurse the fallen and give out their own water because RAZER did not think ahead that this could actually happen. Wheelchairs had to be sourced from the other side of the mall so medical attention that was supposed to be prompt took more time than usual. Really razer, what were you expecting? Letting people camp out, literally days, then you coming in unprepared to handle the situation, making up excuses as thing were happening in real time. In conclusion, no doubt razer’s prowess is excellent in crafting gaming pheriperals and systems, but the same cannot be said in their ability to handle real life situation. Really razer, I am very dissapointed. And no, not because I did not win any top 100 freebies, to be honest if I was not in shock and traumatized and tired, i would have taken all the razer pheriperals that i brought with me and smashed them right in front of your so called flagship store here. Don’t get me wrong, they work fine it’s just that you and your so called event managers are broken. Really razer very disappointing. Just got home, 1st time to “camp” and quite disappointed when the organizers decided to issue 1st batch of stubs without considering who came 1st and without even having proper queue. Parang rock concert na nagtutulakan ang mga pagod at puyat para makakuha ng stub. Then yung bouncers hindi organized, kanya kanyang utos na “pila kau dito sa gilid dito entrance” tapos nung umayos na kami at nag-aantay bgla ung nasa exit side na ng mall ung pila so ending napunta kami sa bandang huli. BUTI na lang talaga nakakakuha pa ako, the 500th STUB, ung last piece talaga. Kawawa lang yung mga nagpuyat, ung mga naipit at nasaktan nung nagkakatulakan. Hope maging lesson sa organizers sa mga susunod na event. As of now there is no sale of items offered and no discount offered for the store opening. 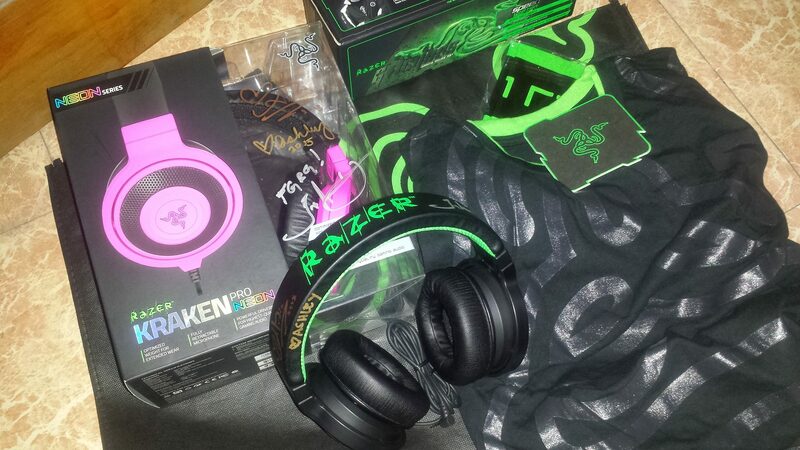 With the large volume of Razer fans the organizers of the said event was we think so overwhelmed with the situation. We attended numerous gaming events like this and the usual scenario happens like this one. Rampage in hoping to get first in line or to get those freebies swags. Any organizer will be overwhelmed with the large volume of people coming to an event. That even they are well planned but if the people are too excited and undisciplined you know what will happen next. This experience shall be a lesson to all both fans and organizers. For the fans if you have the money and don’t want to hassle yourself better stay home and later go to the event on a late time. For the organizers we know they will take note of this experience so it won’t happen again and make it more organized. 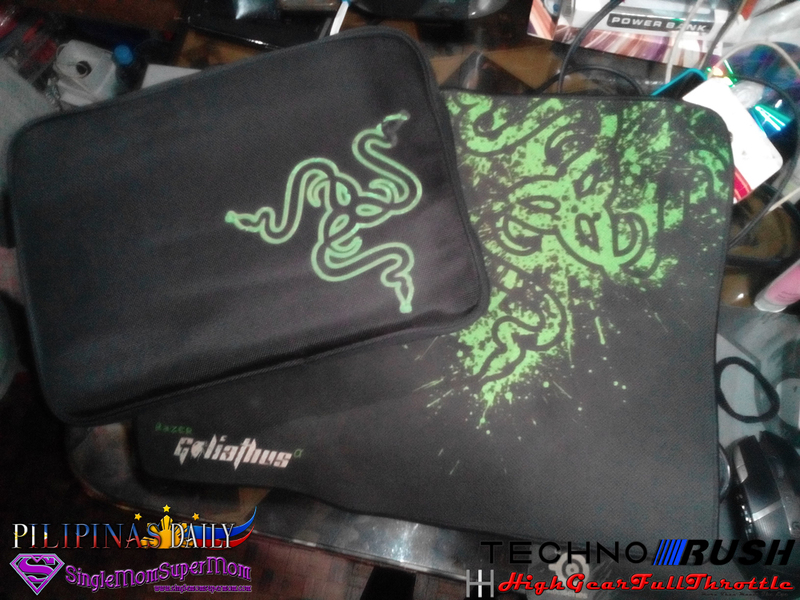 We all know that the organizers of this event tried their best to make such experience to all Razer fans fun and exciting. As for us Razer fans we can now go shopping and never need to order online and ship international.